ASB Cycling specializes in custom coaching plans. Everyone is different; everyone has different goals, desires, genetics, available training time, and personalities. All of these are factors in athletic training. Cyclists desiring to be top in their racing category require different training than recreational cyclists. My coaching is based on specific goals for each cyclist. Alan is currently a certified USA Cycling Level 2 Coach and owner of ASB Cycling. Alan coaches cycling athletes at all levels. My coaching is primarily focused on building rider strength and endurance. I have USA Cycling certifications on Power Based Coaching and Bike Skills training. Alan is also the Ride Director for the “Tour Du Rouge” Bike Ride - a 6 day ride from Houston to New Orleans (Tour Du Rouge). For the past 17 years, I volunteer coach for Team In Training (Leukemia and Lymphoma Society) and prepare new cyclists to complete 100 miles around Lake Tahoe. Alan has completed 3 transcontinental rides across the USA as well as numerous multiday rides throughout the US (Natchez Trace, Blue Ridge Parkway, Six Gap, MS 150s, etc.). I have coached and crewed for 2 successful RAAM (Race Across America) Solo riders. I ride and train regularly in Houston and Austin areas. Alan retired from Shell Oil Company after 31 years in 2010. Since then, he has grown the Coaching and Event Management Business. 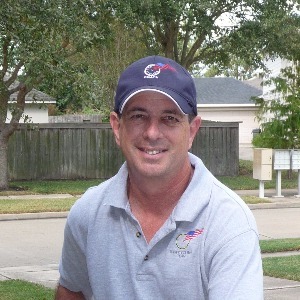 Alan frequently works with Cadence Sports to plan and organize local and regional bike rides. When not riding or involved in cycling activities, Alan spends time with family and friends, boating on Lake Travis, and pursuing other hobbies of Fishing, Electronics, and Home Automation. Alan is married to Melani (31 years) and has two terrific children Austin (and wife Megan), and Jennifer. Success. Coach Alan Bazard has been notified of your message.